The AKOYA is a two-seat amphibious ski-plane with a unique design and a wealth of features that will delight those who love to travel and explore. Featuring patented Multi-Accesstechnology, this personal aircraft can take off and land as easily on water or snow as on the ground. In addition, folding wings enable it to be stored or transported with ease. 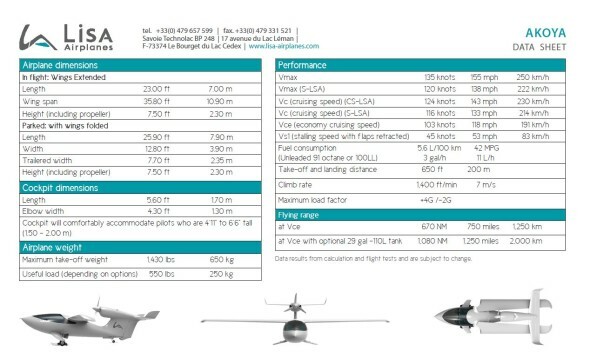 Besides its unequalled versatility, this light airplane has impressive performance. The AKOYA is designed to fulfill the LSA (Light Sport Aircraft) regulation (S-LSA in the US and CS-LSA in Europe) – the new American standard that is to become an international standard such as in South Africa, Australia, New Zealand, Brazil and Colombia. With a top speed of 250km/h (155mph)and a range of over 2000km (1,250 miles), fuel consumption is only 5,6L/100km (42 MPG). 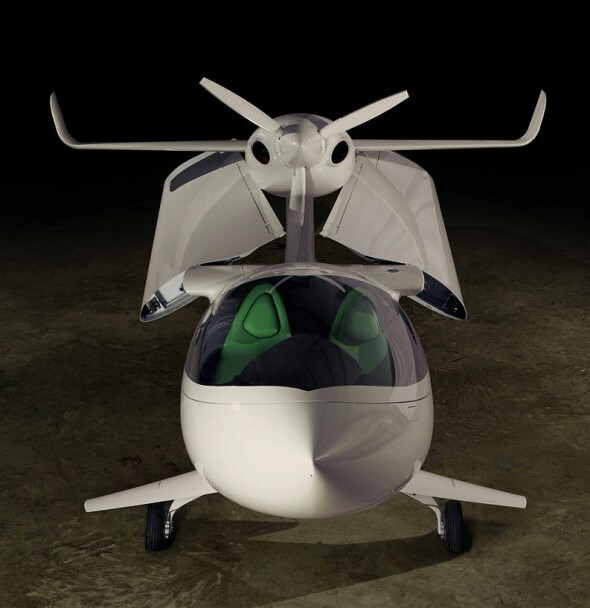 The AKOYA takes off and lands in as little as 200m (650 ft) and can be easily stored in a garage or aboard a yacht thanks to its swiveling wings. Its greatest asset is without a single doubt its versatility of use.